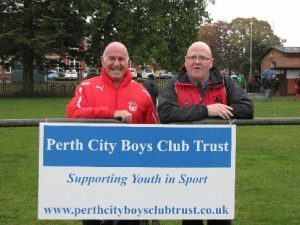 PCBC are a sports trust based in Tayside, Scotland. Our aim is to help less advantage boys, girls and young adults who are currently in education, to partake in physical activity. We strongly believe that every child has the right to participate in sports and through our support, we provide funding for facilities, equipment, and training to make this all possible. Our trust fund is made up of investments from previous assets and our trustees aim to reinvest our annual profits in the form of sponsorship. We will give sponsorship to individuals to purchase sporting equipment, clothing or membership of sporting bodies. The trustees will provide to people who would not normally be able to fund this on their own. An individual can be awarded up to £150 in any one year. We will assist organisations who work with those who are under 21 year olds and are finding it difficult to purchase equipment. The trustees can award up to a maximum of £500 for the applying group. Unfortunately this year, we are unable to consider football teams for sponsorship. Instead we plan to focus on other sports such as golf and martial arts. The trustees will assist people who are trying to recover from addictions. We have a qualified counselor working with us to assist with sporting activities and allow people to get back into a healthy life style. At PCBC we believe that a healthy lifestyle is key in any individual’s life.